You are not seeing double….. The embossing looks half done which in fact isn’t true if you look at the bottom photo. You are not seeing double and do not adjust your computer these cards appear to be different, when in fact they are the same card. I was messing around with my new camera today and had a devil of a time getting the true color of the card stock on my photo. The one that appears to be more raspberry is in fact the closest I could get to the real deal. Please tell me you have these problems with certain color tones? The cardstock is SU’s Raspberry Ripple. Over at Stamp TV , they have a challenge just about ending where you were asked to use two colors. My colors were silver and raspberry. Hopefully the gray card stock since it comes from silver will not disqualify me. I also paired this challenge up with this awesome sketch from CASE this Sketch. I really loved it and will definitely be using it again. I had a ball making this card, but not quite as much fun photographing it……LOL All stamps are from Gina K Designs and I believe it’s obvious but I used silver embossing powder as well. Thanks for checking up with me today….I really appreciate it more then you realize! 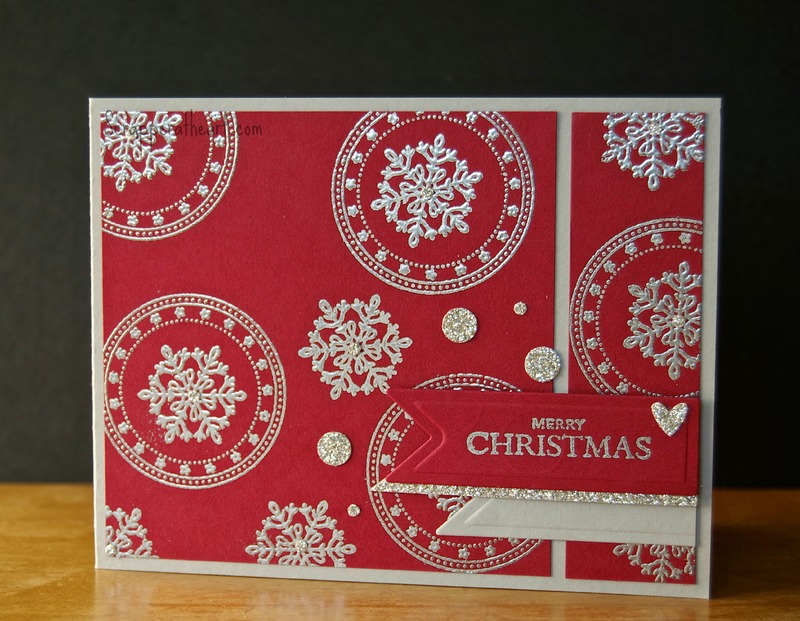 Categories: Cards | Tags: Card making, Cards, Gina K designs, rubber stamps, Stamp TV, stamping, Stamping Up | Permalink. Your card is beautiful and I love the color combo. Yes, I also have trouble with photographing some colors. No matter what you do, they just don’t photograph well. Love your card. Have a great evening. Oh Nancy – this is gorgeous. Love the colours and you have nailed the sketch. Yes it is hard to get some colours to photograph correctly. Have fun learning how to use your new camera. It took me quite awhile to adjust to my new computer and to get my photos looking good. I had the same camera but it was a different photo program and that was hard for me to get used to. But I sure love your card and both look great even if a bit different in hue. I not only have trouble with color but with light, even editing with Picasa. I’m still looking for a good way to photograph. You card is lovely, no matter the right color on screen. I LOVE the silver and red Nancy! Looks fabulous! 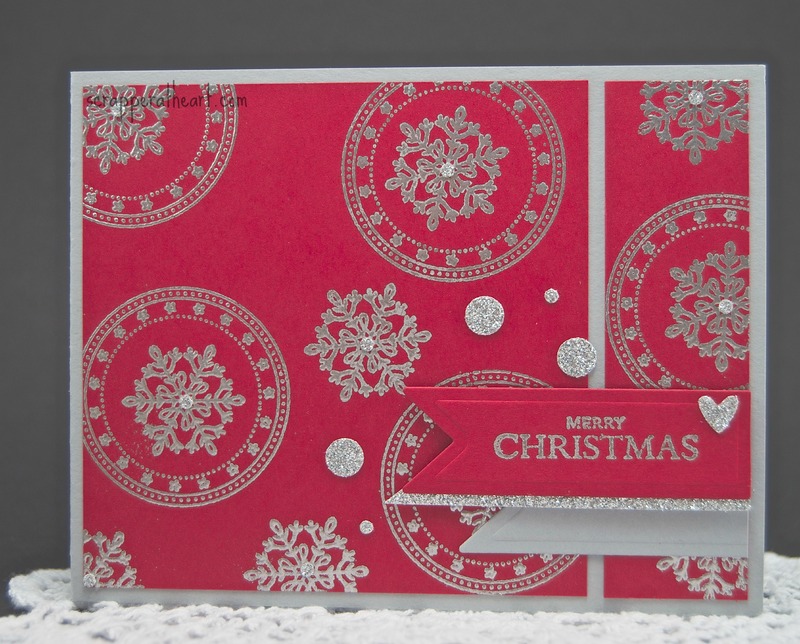 What a gorgeous stamped background! Wonderful take on the sketch! SO PRETTY! I love the sparkle and shine! Absolutely STUNning! 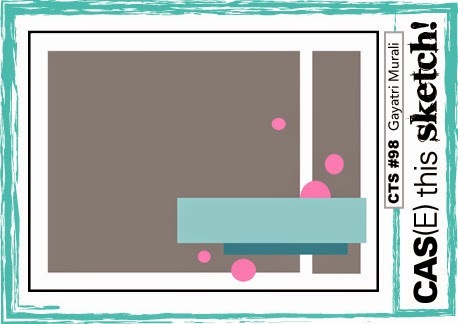 LOVE the colors and your FAB stamped BG! My FAV card of your ever!